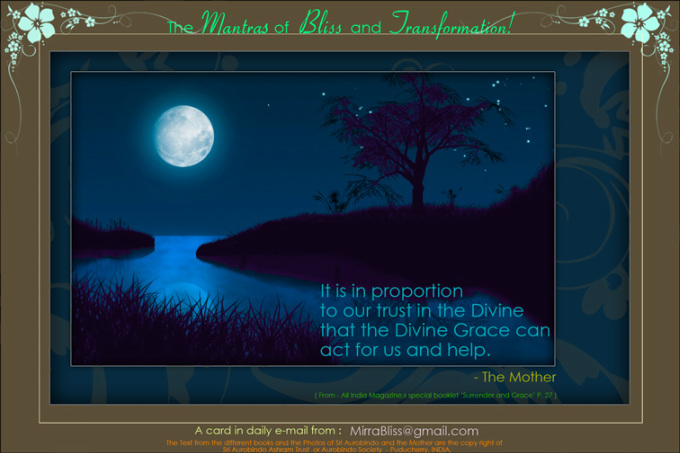 Note: Please, Put link on each tab below each card. From - "Collected Works of the Mother" Vol. 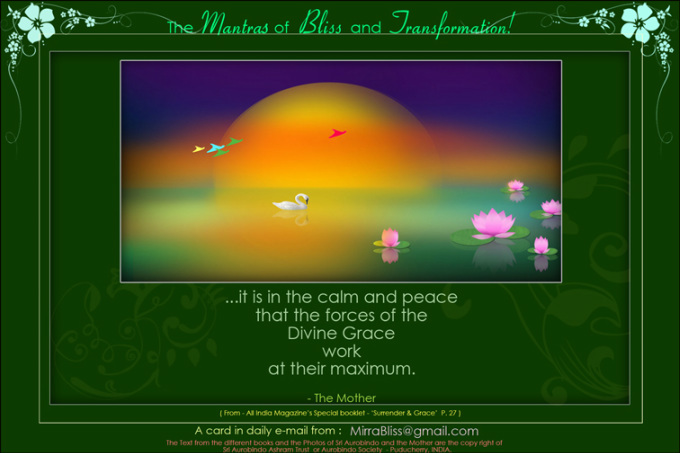 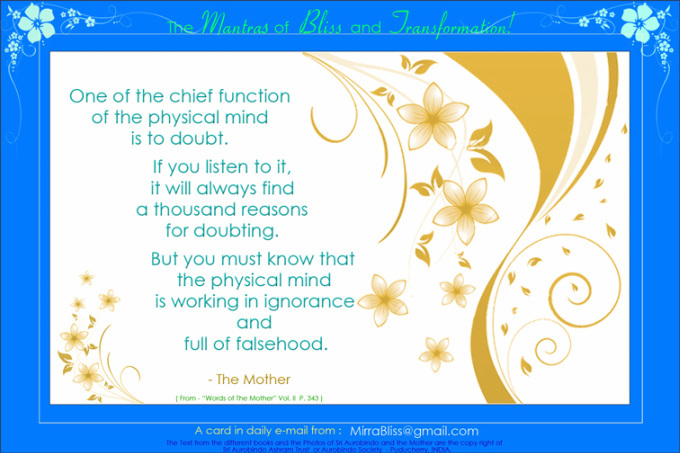 14 Book Title "Words of the Mother - Part III" P. 343 Chapter - "The Mind" Book Pages - 339 to 349. From - "Collected Works of the Mother" Vol. 14 Book Title "Words of the Mother - Part III" P. 342 Chapter - "The Mind" Book Pages - 339 to 349. 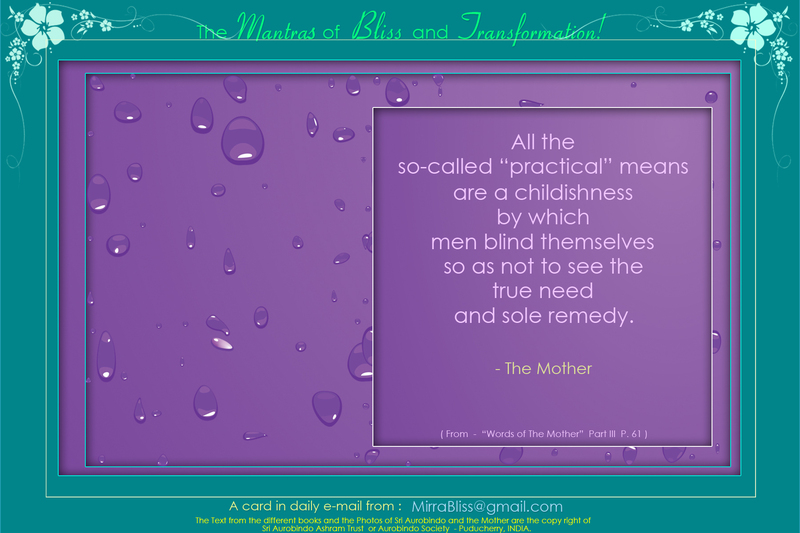 From - "Collected Works of The Mother" Vol. 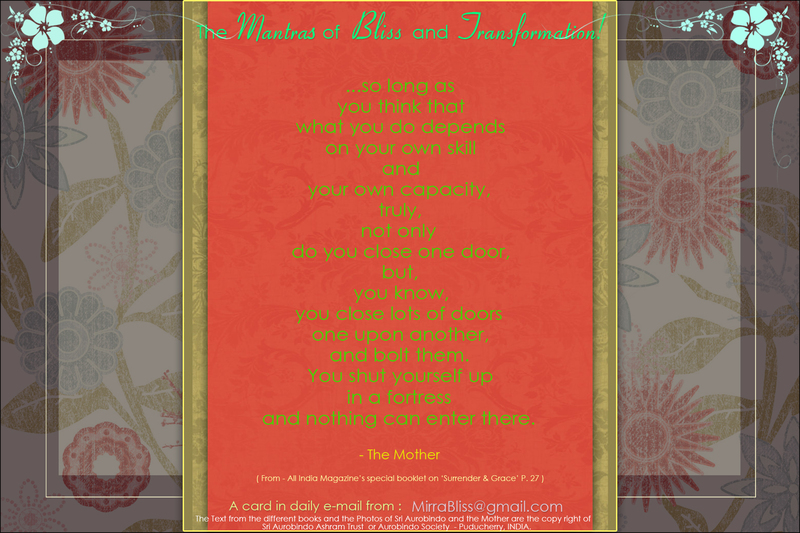 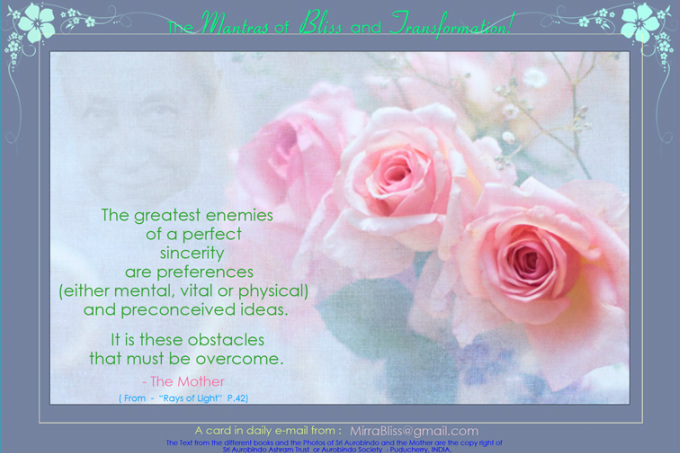 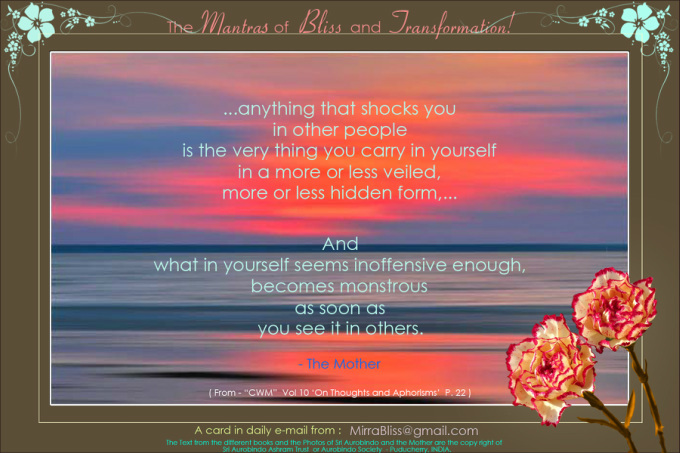 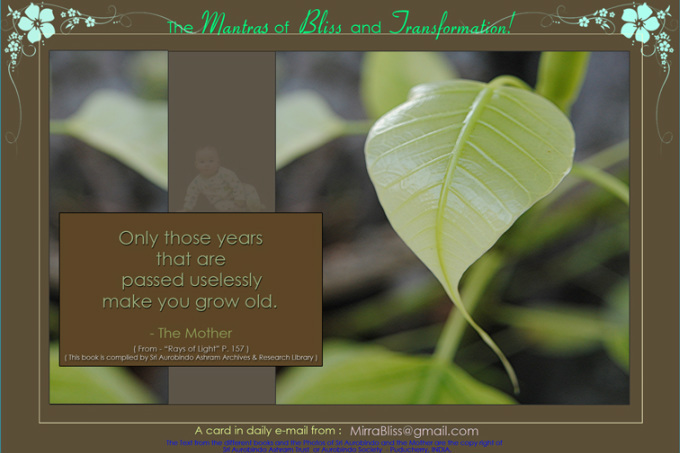 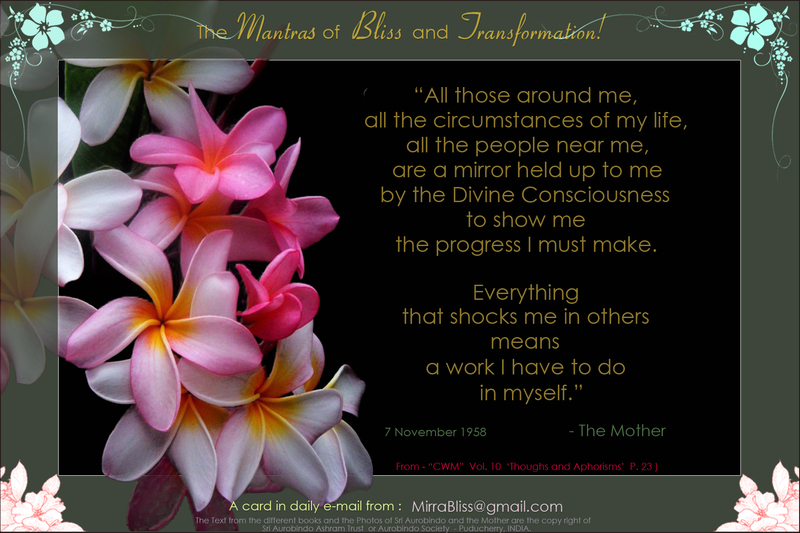 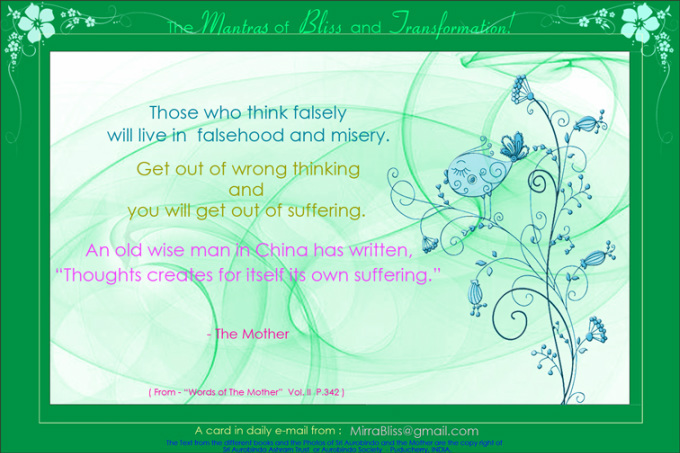 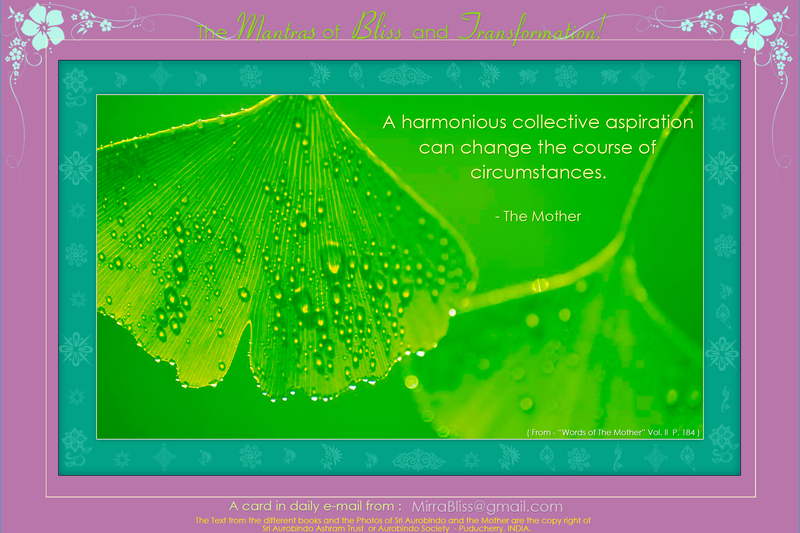 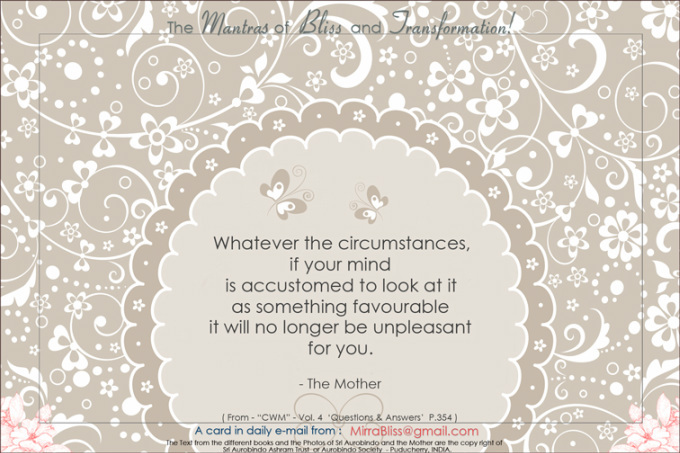 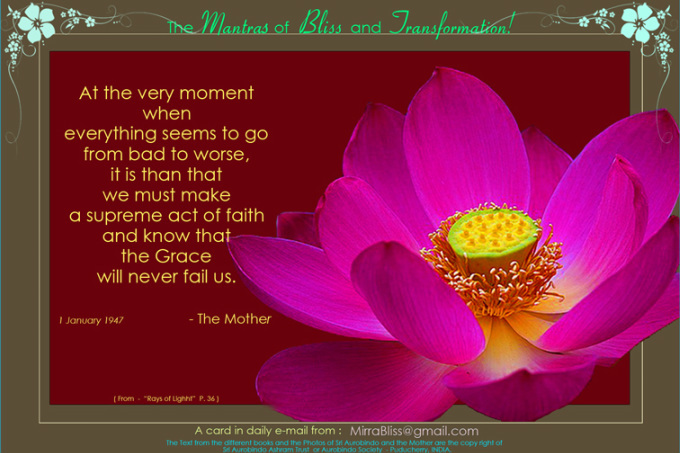 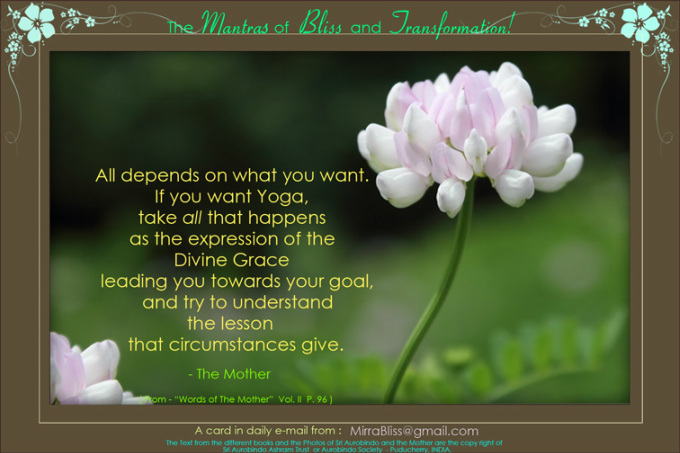 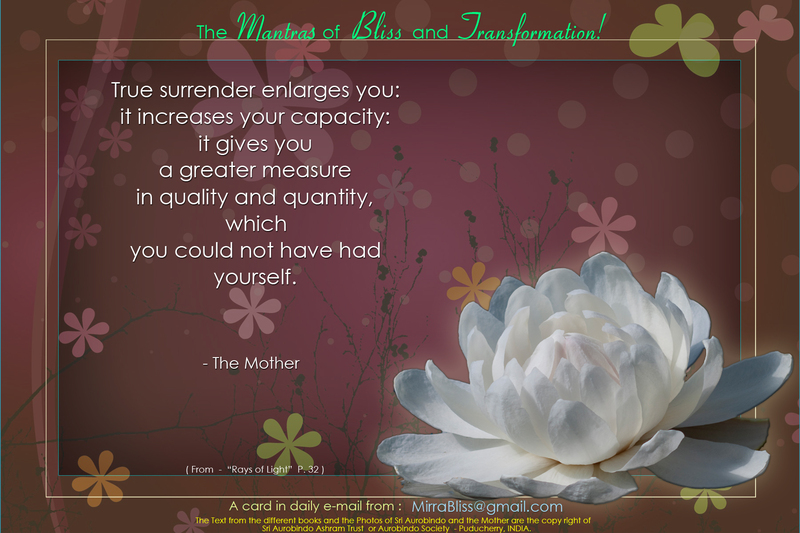 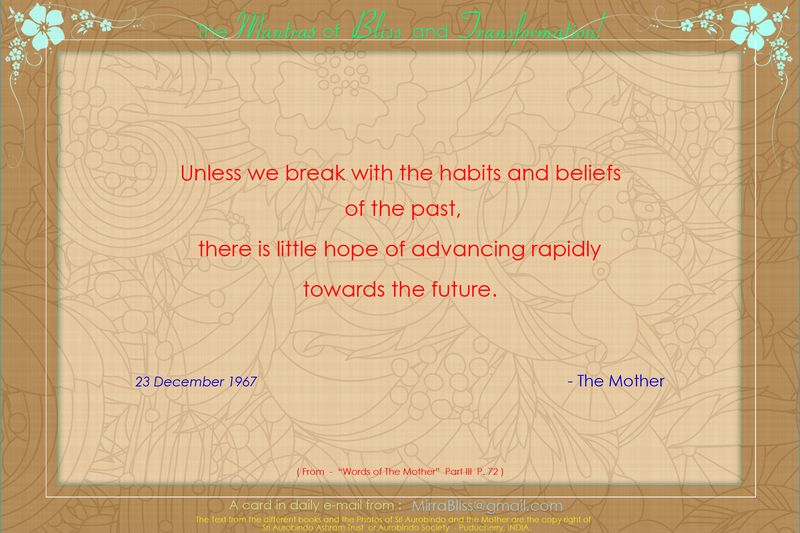 14 "Words of the Mother Part-II" Book Page - 161. 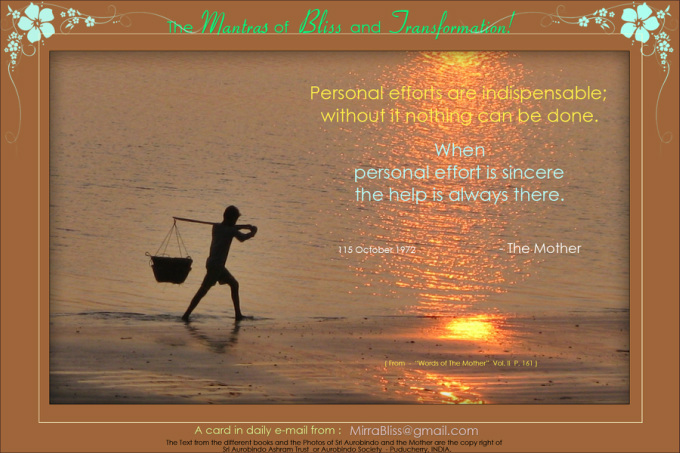 Chapter - 'Will and Perseverance' - from Book page - 158 to 167.